These cookies came in my MomVox 2012 influenster box that came the other day! My kids were super excited to test these out. I split it into 4 pieces so we could all sample the cookie and get an honest opinion (because, hey isn't that why there are testers?). The kids LOVED it! Of course they did... these are cookies and they are kids! They were HUGE, chewy, cookies; what is not for a kid to like? Hubby and I weren't so sure. I think hubby is more used to my homemade cookies that I bake and store in the freezer for when the "cookie craving" hits (when my husband doesn't eat them all) and I don't really purchase cookies in the store. So I don't really think they are for us. 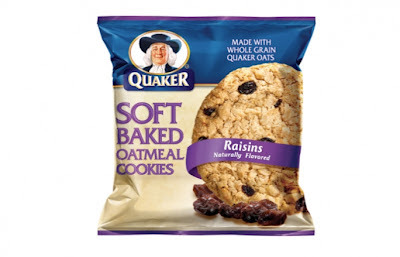 Although, I must say that these would be handy for a quick and healthy snack to throw in the purse for the on-the-go family, but they definitely do not replace homemade cookies. 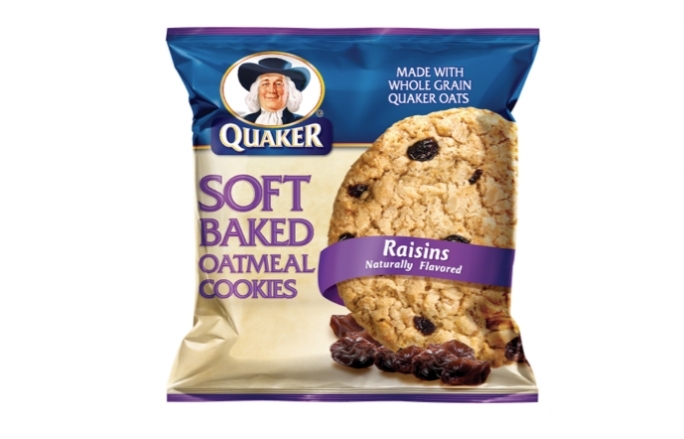 I received Quaker Soft Baked Oatmeal Cookies complimentary for testing purposes from Influenster and Quaker as a participant in the Mom VoxBox campaign. I agree Stevie, nothing beats homemade cookies! !